Export for Prosperity profiles markets around the world and details the support available to UK firms looking to do business in them. This edition looks at what the Transatlantic Trade and Investment Partnership (TTIP) will mean for small and medium-sized businesses. Under TTIP, companies will no longer need to produce multiple product lines to meet the conflicting standards that currently exist across the EU and US, while the elimination of all tariffs on goods and other impacts from TTIP could benefit the UK economy by up to £10 billion each year. 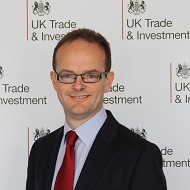 There are also articles on UKTI’s High Value Opportunities programme, which is helping UK companies of all sizes to win business from large-scale projects overseas; how Milan Expo 2015 is informing an international programme of activities designed to boost UK exports; and country profiles on Mexico, Kazakhstan, Hong Kong and the USA. I hope you enjoy reading Export for Prosperity.